Wiring individual leaves and flower heads seems like it takes a lot of time, but it moves quickly after you get the hang of it. 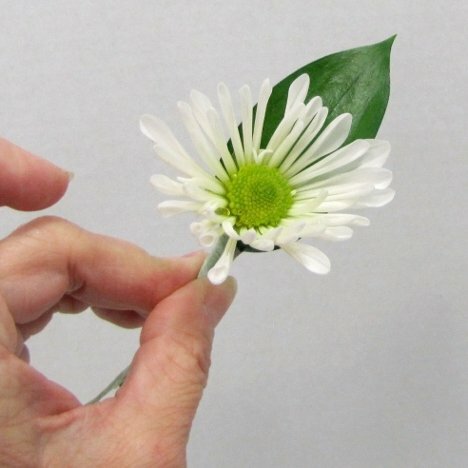 There is a great advantage into wiring up groups of leaves and flower heads at a time, inserting them into foam, misting with a flower sealant, and continuing until you are ready to assemble all your corsages at one time. 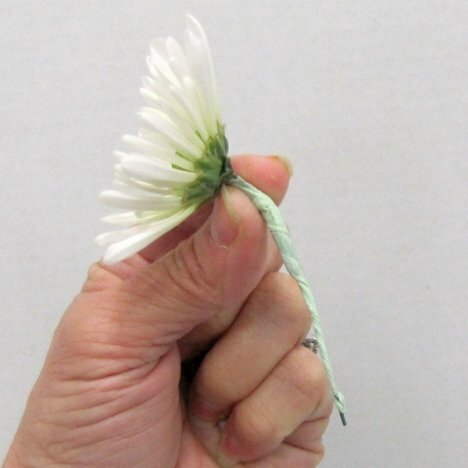 Gently bend the wired flower heads forward so the open faces of the flowers are faced outward from the shoulder or wrist than all pointing upward. 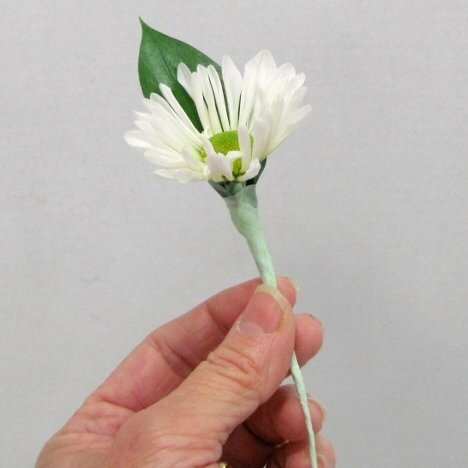 If you tried this without wiring the stems, you risk the danger of snapping off the flower head. 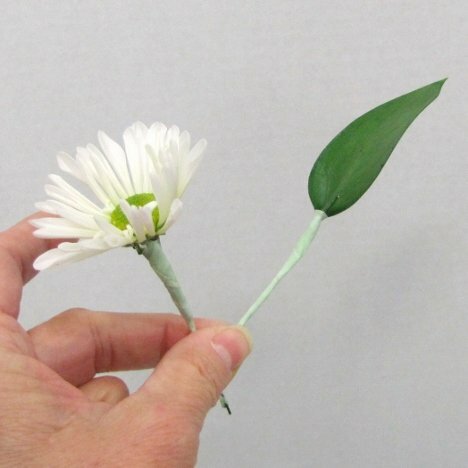 Now fit one of the wired ruscus leaves behind the flower head so that it cups around it gently. 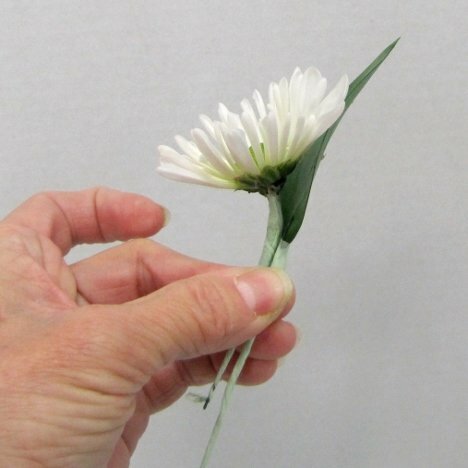 Tape into place, making sure only about half the leaf peeks out above the end of the flower petals. 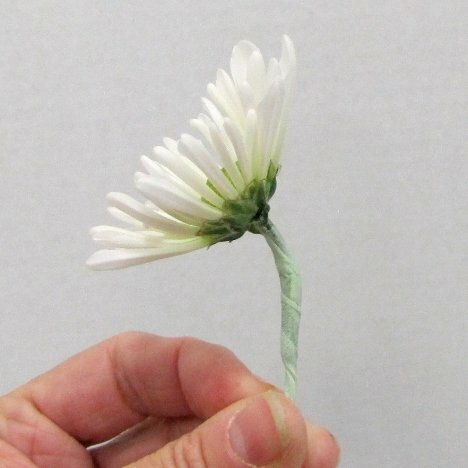 Keep the wired stems smooth and tightly taped. The idea is to keep down on the bulk of the flower wires as much as possible. 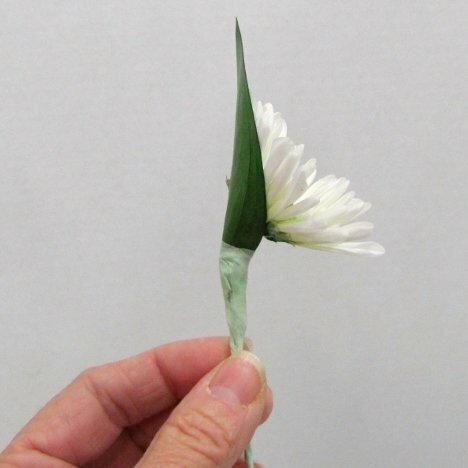 Here is a side view of the taped leaf and daisy flower head.